Loaded question, yes? How to make the world a better place. It won’t be easy, since for every single person trying to make the world a better place, even more, is trying to exploit it for their own selfish reason. But it doesn’t mean we shouldn’t try our best to improve the world. 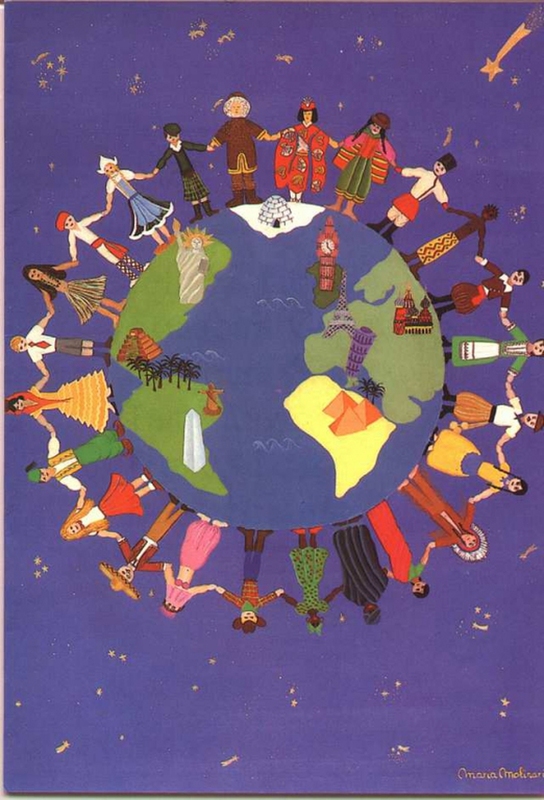 After all, we are all living in this one world together. It takes the effort of many, but it all started with yourself. Learn some tips on how to make the world a better place. Love is a deep appreciation. See yourself as someone to love today and love who you see yourself as the next day. Don’t make any excuses, because you are only who can begin taking charge. Don’t excuse yourself for the next twenty years and maybe even that same excuse could control you for the rest of your life. Insecurity is a curse that latches on to your thoughts, often impossible to let go off. Often it’s just the way we perceive how others see you. Other times, it's an opinion from a person you truly respect or seek approval. Learn to overcome that negative belief is an important step that will lead to the solution of how to make the world a better place. Loving yourself means time investment for yourself, whether it is to relax or to interact with others. We live in a competitive world, bounded by goals that we strive to achieve, leaving little room to play. When there is a lack of fun, there will only be depression. Education is the key to the future of our children and the children are what make the future. It doesn’t matter if you have a child or you don't, help them reach that potential. Tutor, mentor or volunteer in school’s co-curricular activities. We all have our own pride, so we often overlook the power of a simple compliment. Tell someone if they are doing a good job, on how nice their new outfit is or thank your cashier. Be sincere and honest. Try sending a unexpected random email to someone you appreciate, complimenting them for their effort. Never expect a return but know that someone who reads that will cheer up for the day. It’s just a nice gesture to gift someone something you have thoroughly enjoyed. You are telling them a few things this way, which you are thinking about them, understand them and are happy to share with. You aren’t just sharing a book, but you are sharing an experience. Just avoid doing this to people who dislike reading, because it’s pressuring them to do something they dread. Similar to giving gifting the book you’ve read, you are telling them, that you think about them and would love to do something nice for them. The personal touch makes it all the more special. Bake cookies, wrote personal messages on gift cards. It’s all about giving, sharing the love to people. Maybe one day they will do the same to others. Get in touch back with someone you haven’t met for some time, or text them about some nice experience that you want to share. Who knows, they might never respond, but they will know they are important in your eyes. Every person is another man, another brother or sister. Whether it's the homeless man sitting by the curb or the single mother trying her best to raise a child alone. They are in their situation because of wrong choices or circumstances that they can’t control. Nevertheless, they are still human, trying their best to survive another day. Greet them, a little conversation always lifts anyone's heart, help them all you can. One person, you helped today means one less suffering in the world. Treat others as you would treat yourself. We can’t deny that capitalism is pretty much what runs the world today. Businesses influence the way the world goes or organizes itself, often even dictating the rules. Remember however that the people still hold the most voice. You are essentially voting with your wallets whenever there is a decision made in an industry, hopefully prompting them to go down the right path. The lung of the world, our forests, is facing an alarming crisis, deforestation at a worsening scale. Save the trees by using less paper. Take advantage of the electronic age, email instead of mail and taking notes down with smartphones. Bring your very own shopping bags instead of asking for the plastic bags. Hybrid vehicles, although better, still contribute to the greenhouse gasses, carbon emissions, and air pollution. Personal vehicles should be avoided if you could. Consider taking the public transport or carpool to work. Walk and ride a bike instead if you can help it. Water usage should be limited. We are only damaging the world by over using the things that we take granted the most. Try not to take long showers or use only what you need when washing the dishes. Turn off the water faucet whenever you aren’t using it. Knowing what charities do with their money and whom they help is crucial. You want your money to be worth its value the most for the help it will bring. Charities bring what businesses can’t to an area that needs help and is still probably the best way to directly support them. Donate to the following charities: Charity: Water, CARE, Doctors Without Borders, Heifer International, Water.org and the Institute of International Education. Often times, a flourishing economy is what a country or community needs to have a chance in the world. Invest your money by loaning people to build small businesses. Once the business starts giving back to the economy and the people, you are going to get your money back. Try Kiva.org for such small business loans opportunities. Shameless advertising aside, we at EnkiVillage believe in spreading knowledge and helping others. Anything you want to know or want to share? Write it on our website, all your suggestions and knowledge are always welcomed.